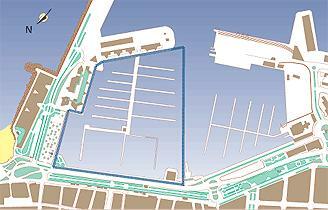 Marina de Alicante has an area of 13,392 m2 and holds 744 berths with up to 60m in length. Every berth up to 15m has a finger so that you can carry out dock and push of manoeuvres comfortably. Moreover, every berth is provided with water and electricity (220-380V) ans satelite television from 10 m on in length.